Today we present a short Chicago Rock Music History Lesson. VERY special thanks to the late Jeff Lind, who wrote the INCREDIBLE series spotlighting "The History Of Chicago Rock" for The Illinois Entertainer back in the '70's and '80's, to Guy Arnston, Publisher of The Illinois Entertainer for allowing us to run this info on the web page today, and Clark Besch for sharing with us what just may be the RAREST of all of the songs recorded by The Ides Of March ... a Kapp Records release that I've certainly never heard before ... and a pretty good tune at that! "You Wouldn’t Listen” was written and sung by Jimmy Peterik with the others adding harmony vocals on top of a basic rhythm track. The song skyrocketed to #7 in Chicago, and made it as high as #42 nationally. It was an excellent start, but soon a lot of people learned that the group was not from England, but instead from Berwyn! Since it was “in” to be British at the time, the Ides found themselves out on their amps, so to speak. Their second single, “Roller Coaster,” was a tighter, more controlled song than their debut hit, yet it went nowhere, as did their next release, “Sha La La La Lee.” James Michael Peterik was still writing engaging tunes with catchy phrases and memorable melodies, but the public was not buying it. And for that matter, the disc jockeys had stopped playing the Ides. 1967 was the valley between the peaks for the Ides of March. Something was missing, as Peterik decided that it was time to diversify the sound, so he added trumpeter Steve Daniels from Lyons in early 1967. Other local groups were using horn accompaniments supplied by studio musicians, but the Ides were the first to incorporate horns into their own group. Their fifth Parrot release “Hole in My Soul” was a catchy Peterik-penned single with Daniels’ trumpet bleating out a Spanish-flavored lead. Yet, as far as the music world was concerned, tis was another bomb. Parrot dropped the group, though they were quickly picked up by Kapp Records. The first release was “Nobody Loves Me: and highlighted Herr’s lead vocals. Ray’s voice had a whispering smoothness to it, whereas Peterik’s was developing a controlled growl. So Jim handled the up-tempo numbers while Herr took the lead on the ballads. Both were natural showmen,and they slowly began cramping each other’s style. Soon, the two could not get along. The group, however, struggled on, and worked from the professional vein to become a tight unit. In late 1969, Steve Daniels left, and horn men John Larsen and Chuck Soumar were added to the lineup. The musical accent moved towards driving brass arrangements, with a stronger emphasis on Peterik’s rough vocals. The group began to fall into the prototype horn band of the era (i.e. Blood, Sweat & Tears). The group left Kapp Records and was looking for another company that would let them record songs done in their new style. Warner Brothers expressed an interest, and the Ides signed a pact in the early autumn of 1969. This signing was a contract of better things to come for the Ides, even though their first national release since “Roller Coaster” on the WB logo, called “One Woman Man,” was less than a spectacular hit. Yet it set a base for what was to come in the new decade, and set the stage for the big break. If ever there was a song that had all the ingredients to hit even before it was released, it was “Vehicle.” It had everything — a concrete constructed metaphor of lyrics by Peterik; a loud, thumping rhythm; a frantic guitar break; and energetic, belting brass arrangement. In less than a month, “Vehicle” began its meteoric rise to the top of the charts — first #1 in Chicago, then #1 in the nation. It even reached the million-seller mark, and was a hit across the ocean, a development that was a first for a Chicago group, and rather ironic considering their initial British connection. Suddenly the Ides were catapulted into superstar status, and were the only Chicago group to be making it at the time. It was a roller coaster ride that they had never dreamed of, and included national tours, the recording of their first LP, and notoriety in major publications. The album Vehicle sold well, and their new single “Superman,” an esoteric version of “Vehicle,” resulted in a successful follow-up hit. However, there were several conflicts in the group at the time. First, the rift between Peterik and Herr had grown out of proportion, causing Herr to leave to pursue a solo career. He later hooked up with guitarist Jeff Stevens, changed his name to Ray Scott, and moved into a country-folk vein. Herr spent a brief stint with Orphanage during that time. Ray Herr (Scott) is now with Calico, a C&W group featuring Cathy Betts, Jeff Stevens, John Wesley, and Tom Schonfeld. The career of singer / guitarist Ray Scott has taken on the characteristics of a carnival, complete with roller coaster rides, spook houses and barkers, with Ray himself taking the part of the wandering minstrel. Concerning the roller coaster, Scott has risen to the heights of being very near to a successful breakthrough as a recording star, only to see his hopes plummet to obscurity thanks to several unfortunate , although, not unusual circumstances. He has been a member of many musical aggregations during his 13 years as a performer, but his solo career has always been the sustaining factor for him, even more so today than it was in the beginning. From these humble beginnings, Scott worked his way through the usual morass of garage punk bands that were present in the area in the middle 1960s. The first group he was in, he shared guitar duties with John Pavletich, who is now lead guitarist for the Cryan’ Shames. Now, came short stints with the Legends of Time and the Jaguar. 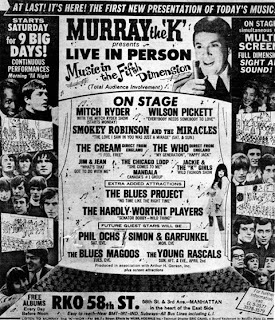 Then, in 1967, Ray’s cousin, Mike Considine, told him that the Ides of March were looking for another vocalist to compliment Jim Peterik. Considine was managing the Ides at that time, and he felt that Ray’s soft, whispery vocals would be a perfect foil to Peterik’s controlled growl. Scott, who was then known as Ray Herr, jumped at the chance to become a member of an established rock group. (The Ides had already scored with one national hit, “You Wouldn’t Listen,” in 1966.) Scott spent four years with the Ides, and was part of the whirlwind ride in 1970 when the group topped the nation’s charts with “Vehicle” (Scott played bass on the recording). During those days, he either sang lead, or shared the vocal lead on songs like “Nobody Loves Me,” “Hole in My Soul,” “Time for Thinking” and others from the Vehicle album. Scott left the band during the summer of 1970, and it was disheartening to him, but he continued to play solo. By 1971, he had hooked up with an outfit known as Orphanage, a group who cut some commercials as well as some demos for Epic Records. All the demo tunes had been written by Scott, including the classic and somewhat ironically titled “Easy Money,” a country-flavored tune that foreshadowed his later musical efforts in that genre. The Orphanage deal never really got off the ground, but by this time, Scott was becoming a seasoned solo performer of country and country - rock songs. To add some diversity, he picked up Jeff Stephens, a veteran country performer, to play lead guitar. By 1972, Scott and Stephens, as they called themselves, began building a solid reputation as a country duo. They made a trip to Nashville and cut “Song Our Partner Sang,” an old Carl Davis tune, with the help of some of Nashville’s finest session men, including Grammy Award-winning harmonica player Charlie McCoy. In early 1975, the twosome joined up with Stephens’ brother John and singer / songwriter Kathy Betts to form Calico. They eventually added a bass player and drummer to become one of the tightest country bands in the area. Ray occasionally sang, but his role was mainly one of providing instrumental support for Kathy. The group’s manager, Mike Considine, had begun talks with several labels in Nashville, and demos were cut. It looked like Calico was on the verge, but public indifference to the band finally killed their chances of making it. Disillusioned, Ray left the band to do the thing he knew best, solo performing, and he is still doing it today. In the manner of all wandering minstrels, he has a large collection of songs (a conservative estimate would be 300) in his repertoire, and he’s adding to them all the time. He is apt to do a full set of country tunes one night, and come back with a Jim Croce medley, or an Eagles medley, the next. Also in the tradition of the roving minstrel, he prefers the intimate atmosphere of a pub to the blaring cacophony of the concert hall. It helps him to establish a more friendly rapport with the audience. But Ray is more than just a singer; he is a consummate performer, and on any given night, he can and has doubled as a comedian. His wry sense of humor has brought laughter from such diverse audiences as those in attendance at the Country Music Inn in Wheeling to those at the Spot in Evanston. Above all of those things, however, is a firm commitment by Scott to entertain the audience and to play what they want to hear. Because of this, he is able to invest a lot of warmth and sincerity into the songs that he sings. Of course, there are hassles in the carnival world of Ray Scott. He has to deal with a lot of “barkers” — bar owners, booking agents, and other industry people. And then he has to deal with the spook house — constantly being chased by his musical past, especially his past with the Ides. It is easy to see why he becomes weary and somewhat miffed when a club owner introduces him as “Ray Scott, formerly with the Ides of March,” or when some intoxicated customer yells in a request for one more chorus of “L.A. Goodbye.” Almost every artist in the business probably shares the feeling that if they are to grow and progress, they must build upon their musical past rather than remain in it, and with Ray, the feeling is no different. Still, it is tough to dodge ghosts all the time, and even the name change from Herr to Scott did not lead Ray completely out of the spook house. If he had it to do all over again, Scott would probably do it the same way, as a wandering minstrel, roaming from club to pub, charming the ladies, and raising the spirits of the audience through his own entertaining brand of music. The Uptown Below, a coffeehouse located in the basement of the Recreation Park field house in Arlington Heights, was the launching pad for the careers of many local musicians. Even years after they had left and gone on to better things, old folkies could still be seen jamming in “Wreck” Park, as it was lovingly called. Many times, they would congregate to sing songs that they could not normally do within the framework of their then-current musical situations. Several of these sessions led to the formation of the Factory, a supergroup of sorts. Ray Herr, singer and guitarist, remembers how it all came together in 1969: “There were a bunch of us that liked to meet up in the park and play old rock & roll. We thought it might be fun to do it on record.” All were involved in other musical projects, so Factory was just a name that they took to record. Herr was with the Ides of March in 1969, and that band was beginning its ascent to the top. Drummer Bill Mooney was with another well-known area band, the Little Boy Blues, while bassist Rocky Hughes played for a band called Wild Honey. Marty Wallace was summoned in to play lead guitar, and Jeff Milne rounded out the band as lead singer. Milne was a songwriter as well, having written “Give Your Mind Wings” for the Ides in addition to releasing his own record prior to the formation of the Factory. It was Milne’s idea to record Huey “Piano” Smith’s rock standard, “High Blood Pressure.” After waxing their frenetic, raving version of that classic, the group also worked up an original, “Lonely Path,” for the flip side. After this, the guys smiled at each other, packed up their gear, and went about their own respective businesses. The song never became a hit, but they didn’t care; they had had a good time recording it, and that is the essence of rock & roll. By the way, Ray Herr, now known as Ray Scott, was seen performing at the Ground Round in Hoffman Estates not too long ago. It’s no doubt better than playing in a factory. With an entertaining show such as this, the Ides knew that they were ready to take their show on the road. The itinerary included stops in both Florida and California, but the whole thing was almost aborted when Herr departed suddenly. Ray Herr played some solo gigs following his 1970 exit from the Ides. By 1971, he was fronting a band called Orphanage, who also included guitarist Don Paveletich, later the lead guitarist for the Ides - Shames Union! Herr then teamed up with guitar picker Geoff Stevens to form Scott & Stevens. They went to Nashville in 1972 to record “Song Our Partner Sang” with Charlie McCoy and some of the other Nashville heavies of the group Area Code 615. The song did well until WJJD jocks discovered that the duo was local, at which time they stopped plugging the record. Scott & Stevens later became Callico, which recorded some songs with Mike Considine, who tried to land a deal with MCA in Nashville, but it fell through. Herr played solo again until 1978, when he became lead singer in the Ron Showboat Band (now Showboat). Herr is currently fronting a trio based in the Chicago suburbs, and as always, has a knack for total entertainment that harkens back to his Ides days. When I met Jim Peterik in 2006, we spoke backstage and I asked him about the Ides' Kapp single, "Nobody Loves Me," and said I loved that song although he did not sing it. He corrected me and started singing the part he sang and I was thinking Ray Herr sang the main lead. The song remains the only Ides 60's 45 not on CD and remains one of my faves (also, Jim P wrote it!). It was great that Jim remembered it! Anyway, I think Jim's music is amazing and his memory is too. You might ask Jim if my memory is correct?? Maybe Jimbo will see this and fill us in on some of the details. So here are a few loose ends to tide us over until our Sunday Comments Page! This would have been a GREAT party to attend ... had we only known about it in time to let our readers know ... and with SO many readers in the Nashville and Memphis area, I'll bet several of you would have loved to attend! HENRY GROSS'S 60th Birthday Party celebration will be held on April 2nd, 8:00 till 11:00 PM at Blues City Cafe, Beale Street, Memphis TN. He'll be partying and performing with bassist, MIKE CHAPMAN, one of Nashville's finest! He hopes to see you there to share the fun and thank you for your support of his musical journey over the years. Become a Henry Gross fan on Facebook ... Check out Henry's videos on Youtube ... And his Myspace page by following the links on the left..
Come twist the night away with me, Chubby Checker, on The Malt Shop Memories Cruise as we bring back this era in a way you've never experienced before! We are setting sail October 27-31, 2011, from Tampa, Florida to sunny Freeport, Grand Bahamas on the Carnival Inspiration. And remember, all meals and concerts are free! Don’t Miss the Boat! Reserve your spot on the Malt Shop Memories cruise today! More concert dates to be added. On May 24th, I am proud to say, that "The Best of the Franke and the Knockouts" will be released on Friday Records. You can go to your local store or order it on line. In case you missed my interview Friday night with Peter Altschuler (the son of Murray the K0 -- it is on my website. It was really good. They say that whenever you write something in anger, the smartest thing you can do is put it away for 24 hours before sending it ... and then re-read it the following day to see if you still feel the same way. Too often, we react in anger and say or do some things that we can't take back or make amends for later. Such was NOT the case in my recent rave-out against the powers that be over at WLS-FM ... I STILL feel that removing Scott Shannon from the station he brought back to life is a HUGE mistake. First of all, in a day and age where more and more on-air jobs are disappearing and being eliminated ... and SO much great talent is out of work ... we should commend WLS-FM for creating radio jobs for talented dee-jays. A syndicated program like The True Oldies Channel, good as it is ... and as much as I enjoy it ... does, in fact, eliminate at least six or seven on-air jobs in every city it airs when it features only The Scott Shannon Program, 24 / 7. So, in THAT regard, we should commend WLS-FM for doing their part in keeping the "live", immediate aspect of radio alive in The Windy City ... it's good for the long-suffering industry. And finally, I have to admit that this new mix of music (most of which might not fall into the traditional category of "oldies") HAS brought about the opportunity to hear some "new" music that has been absent from the airwaves in quite some time ... in the '60's, '70's and '80's category ... so, to that extent, WLS-FM DOES seem intent on "shaking things up a bit" with their play list ... which is ALWAYS a good thing by Forgotten Hits standards. Yes, you still hear all the stuff you expect to hear every single day ... but now it's mixed in with more and more "surprises" and, nearly every time I've switched over this past week, I've been pleasantly surprised by at least one "Wow!" factor song. Click here: A quick history lesson on Chicago's 94.7 FM. Perhaps we should have considered this before we got TOO emotionally attached to ANYTHING pertaining to Chicago's 94.7 FM! (Based on this WLS-FM timeline, provided by Scott Childers' "History of WLS Radio" Website, it looks like SOME sort of change was inevitable!!! In fact, Scott's True Oldies format lasted longer than many of the OTHER attempts at capturing listeners for this station. Thanks, Kent. Your comment was very well written. Thanks for posting. Ralph, I always enjoy your diaries of the 60's and I have included a few Chicago friends on this email. For those unfamiliar with the legendary record store owner from Lubbock, Ralph DeWitt lived in Chicago in the 68 - 70 period and loves the Cryan Shames (like someone else you all know). In his 1968 diary below, he had just moved to Chicago from San Antonio a few days earlier. Thought you might enjoy this. >>>1968- Chicago - Friday - Walked to school (Glenbard East). Bought my textbooks at the book store. Found out nobody up here wears white socks. I did and everybody made fun of me. "Hey, look at da kid wit da white socks!" The phone man came to our house, but didn't get the phone installed. Ralph, I wore white socks and still do often. Back in the 60's, I don't think anyone in Kansas did NOT wear white socks in the 60's! Attached is a clip from me and my brothers' recordings from Dodge City, Kansas. After you hear what we put up with to hear Chicago radio, you will appreciate how much I loved radio and how lucky I felt Ralph was to be moving to Chicago at this time! The clip is from WCFL's Jim Stagg show late March, 1968. Highlights: Too Much Talk - Paul Revere and the Raiders (to be on Stagg line interview later in week), ads for Allen Chevrolet, Meisterbrau, CFL VIP to be: Cryan Shames at the Blue Village!! Then, Bits & Pieces (honcore, as CFL called oldies), Get Out Now - Tommy James and the Shondells. You will note that it is probably around 5 PM Central time and the sun about to go down and for WCFL to switch its antenna power to a direction away from Dodge City. Before this happens, you can see how hard it was to get CFL over KTOK in Oklahoma City. You can even hear them playing a Bobby Vinton record and giving their calls, ruining my "Get Out Now" recording. I was taping to get a copy of the song because I only bought favorites or ones I could buy in DC, so it was turning dismal at this point before the tower switch at end of clip when song disappears for a few seconds and then you can slightly hear it before I apparently gave up in disgust and stopped the tape. Oddly enough, WLS and WCFL BOTH suffered in DC from Oklahoma City station. WLS at 890 was same frequency as KBYE in OKC and CFL was at 1000 same as KTOK in OKC. Not likely people from OKC heard WLS, but they had the great KOMA juggernaut and WKY as nice subs. I got those perfect in DC, so maybe I did have more luck listening? SO, don't take for granted how lucky you were to hear WLS and CFL in the clear back then as opposed to my luck in Kansas!! >>>1969- Chicago - Saturday - Called in sick at work (KMart Foods) so I could visit with Joe Bernosky, who is staying with me for a few days, up from Belleville. We rode the motorbike. We drove around in my VW, drove over to a pizza place, had pizza. Joe played "Aquarius" on the jukebox. Aquarius was #1 on WLS this week 69. I believe it was 1955 when Ol' Tennessee Ernie had a tune issued that went gang busters. Somewhere in the 60s, I went to a friend's house to hear his stuff. He couldn't tell me WHAT HE had, so we fired up the portable and went through several songs I knew and heard again for the first time in some years. Then I saw the Sixteen Tons. He said that this was a heavy rocker. I looked at him in a critical way. SIXTEEN TONS ... a rocker?!?! From the first note played, I knew this is NOT the same version I knew. The flip side (I ordered a new copy a few days later and it, too, was the new issue) of this song is HICKTOWN. Quite a story on that side, buuuuuut the new version of Sixteen Tons? This version is on YOUTUBE. Multiplication - Bobby Darin (from the movie "Come September"). Bobby Darin was also in a movie called CAPTAIN NEWMAN, M.D. Does anyone remember the song he did in it? Can't find that info on the internet ... who, where, etc. An instrumental got air play for a length of time, then went away. Couple of years or so later, it was getting played again, and this time caught on and the group shot to fame for some years. What's interesting about getting used records is the name a pervious owner is on them and for some reason of the five or six I have, the previous owners were gals! Ben Colder was an invented name by a famous TV and movie star who had one hit under his real name, and that singer was THE PURPLE PEOPLE EATER by Sheb Wooley. Your one "Newsletter" sounded like you were gonna be OFF THE AIR for a while, and I figured either that, or GONE, thus I sent you that note of appreciation and the picture with the idea that, if you liked it, YOU'D download it and print out a copy for yourself. Am NOT complaining as to what was done, I just never expected THAT! That Memory Lane website you posted is a spinoff of classmates dot com. A very interesting site that connects classmates, but it cost money and they bombard you with offers and teases. Today's kids all use Facebook or Twitter, classmates is aimed at us 'older', less technical folks with a little cash. They were investigated for online abuses. Caveat Emptor. They may re-direct you to Times past. Go to it. Has all kinds of radio / tv even Opry tv shows. Here's a sample of Gus Gossert's Show. Go to web page, click on an artist, you will get lyrics & video. Pretty cool. I thought you two might want to put in a bid for some of your favorite Chicago Players. Have you seen this one yet ? I think we should offer them recording contracts now ... before they get agents. Please Vote for Cool Scoops as BEST Ice Cream Shop on the Jersey Shore HOT LIST. Type in cool scoops in the search area and please vote! I'm submitting my favorites now ... I cannot wait for the guy with the 45,000 plus to whittle his down. I did the best I could. I managed to get mine down to ten but I found it was a matter of five weekday and five weekend ... so here they are in no particular order. These ten songs were songs I never skip on my ipod. So, there you have it. I would like to point out that the Larry Gatlin song is the closest I get to Country ... not a fan. I haven't received any other responses so far ... but Stacee seems to have gotten the idea ... kinda like when I suggested that EVERYONE gets in the rock and roll hall of fame but then you have to vote OUT FIVE groups a year ... who'd really be left at the end of the day? oh well ... I should have just asked what songs do you NEVER skip ... would have been less work for your readers! While I was searching for a picture of JACKIE DeSHANNON on the internet, to use in my forthcoming book, “I DID IT FOR A SONG”, I found one that I had taken in 1968 and happily discovered it was used as a cover on a recent CD of hers! I don't know if you know about LinDee or her book, but it's sounds like something your readers would like. Hello Rock & Roll Radio DJs Fans! Blast from Your Past! Rock And Roll DJ’s: the first five years (1954-1959) from Amazon! I wasn’t going to just blurt it out, but I’m so excited for everyone to see that I really have been working on the book, and we’re getting closer to the full - throttle print edition. I gave up guesstimating a publication date – and you’ve all been so patient, but just know that it’s coming up. Thank you for hanging around and for the encouragement so many of you have offered. FYI, the ebook is priced at only $3.99 as an introductory teaser to the series; come July 1st the price will increase to $4.99. In the meantime, tell all your friends about the pre-print book teaser! Blast from Your Past! 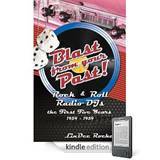 Rock & Roll Radio DJs: the First Five Years 1954-1959 is available now as a Kindle EBOOK. Remember, ebooks are still generally no-frills, basic formatting and poor quality images (and fewer images) than any print version can offer, but at least it’s something to whet your appetite for the good ol’ days. You’ll find fifteen fun and entertaining tales of your favorite DJs about their lives behind the microphone at a time when Rock & Roll was heating up the music world. And btw, if you’re not aware, you don’t absolutely need a Kindle in order to purchase, download, and read ebooks – Kindle has an app for your PC or laptop – downloads are no-cost, quick and easy! If the link doesn’t work, just go to Amazon and type “Kindle for PC” in their search field. You can download a sample of the first few pages if you want to know what you’re in for – but nearly as important, whether you buy it or not, please consider clicking on the "Like” (thumb’s up!) button. If you appreciate my efforts to offer a heartfelt tribute to you and wild-n-crazy guys and gals who kept us rocking, this will help further my DJ projects. And like with American Idol, the more who “Like” you (vote for you), the higher your favorite books rise to the top! - Latest fun find for Rock & Roll Boomers: Remember Burma-Shave signs on your road trips? http://burma-shave.org/jingles/ We even turned the radio down just to read them aloud. As always, please feel free to comment – catch ya on the flip side. I don't know if you still wondered about the Sundazed deal with Curb but here is the final word on that. Our backyard (and into the back room and garage) was flooded in December from record rainfall and the nightmare continued with three months of construction. As bad as that has been, even more galling is the canceled deal between Curb and "Sundazed". We received an email from Sundazed the other day that Sundazed will not be able to work with the economic model we proposed. They offered an alternative model, but such model will not work, as it does not cover the amount that Curb is required to pay out to royalty participants and leave something for Curb. Sundazed's decision came somewhat as a surprise to me as the model that Curb proposed was not questioned by Sundazed until just recently. I simply cannot work with the Curb "model" without losing money on each and every release sold - their proposed royalty structure is far beyond anything that could be considered reality. I had talked with them about this for over a year, so it should come at no surprise to them ... And I worked extremely hard to propose an alternative (which also would have been extremely costly to us, but manageable), but they rejected that two weeks ago. I absolutely cannot spend any more time on this - the math does not work, they will not accept my proposed terms, and I now have to let it go and move on to other things. And don't forget ... tomorrow is National Record Store Day ... independent record stores all over the country (and there really ARE quite a few of them left) ... will be celebrating with exclusive, indie releases, including some "limited collectors editions" by major stars like The Beach Boys and Bruce Springsteen ... selling custom-made vinyl editions of material that WON'T be available in all of the major chain and "big box" stores!